While the Stanley Cup Final was in Washington for Games 3 and 4, T.J. Oshie drew some attention for his habit of taking the D.C. Metro to games. It was, of course, a nice little way to interact with fans, maybe take a few pictures with weary commuters. 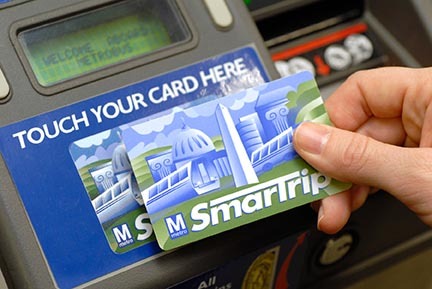 This, frankly, may be the most that people have ever talked about the D.C. Metro, at least in any cultural contexts, so it should come as no surprise that Metro has promised to release a new SmarTrip card in honour of their most buzzworthy rider if he can bring home the Stanley Cup. 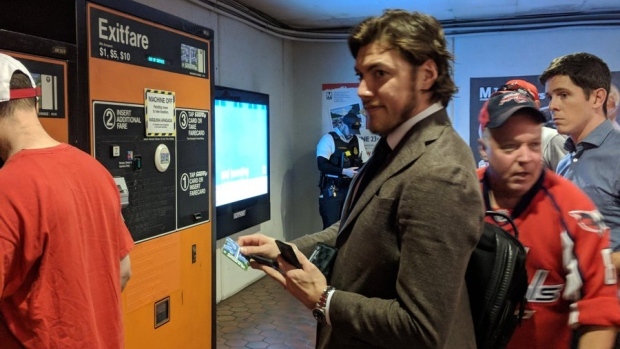 The Capitals will have a chance to bring the Stanley Cup home in Thursday’s Game 5, and while there will be no D.C. Metro trips for Oshie in the away game, the opportunity to ride the subway by tapping a card with your face on it has to be added incentive, right? Just make sure to set up auto-reloading, or at the least update your card balance regularly, lest you look a fool like Oshie did before Game 4.